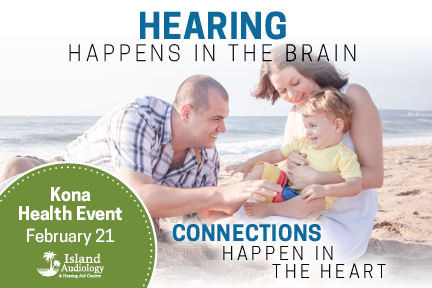 Island Audiology pledges to expand awareness about the cause and effects of hearing loss and or tinnitus to our brain health and well being. We invite you to join us at one our Hearing Health Event. Space is limited so reserve your space today! For reservation or more information, please call the number listed above or you may fill out the Contact Form and a member of our team will reach out to you.